Are you searching for a best photo ID card printer? You have landed at the right place. Photo ID cards are a way to make your business or organization more secure. Plastic ID card printers are used to print ID cards. But there are plenty of options with different printing technology, speed, and interface. Moreover, every photo ID card printer has its limits. So it becomes a tedious job to choose the best one among so many printers. We have picked up some of the best photo ID card printers to ease your work. But before going on to the list, you must list down your requirements that will help in the quick selection of better product. What are the things that you must look for in a photo ID card printer? The first and most important thing while looking for the best printer is its printing volume. How much could it print in one day? The second thing is single-sided or dual-sided printing. Single-sided printers are less expensive, but you must choose based on your card design. Then comes the print method. Photo ID card printers use a thermal transfer process. They use a printhead that heats up and melts a ribbon onto a card to create an image. There are two methods to do this work. One is Direct-to-Card (DTC). It is the most common ID card printing technology. It enables photo quality printing, and you can print excellent quality photos and logos by setting the heat controller. The card is passed four times to create the perfect color and tones. Retransfer (Reverse Transfer) printing produces is slightly expensive and produces somewhat higher quality photos. Here, the image is firstly printed in reverse directly onto a transparent layer of film. Then the printhead heats up and affixes the film onto the surface of the card by heat and pressure. So you get the brighter images. Some photo ID card printers offer a built-in or add-on laminators to protect the card. Besides Photo ID as a way of authenticating there are other ways of encoding like barcodes, magnetic stripes, smart tags, and UHF RFID. 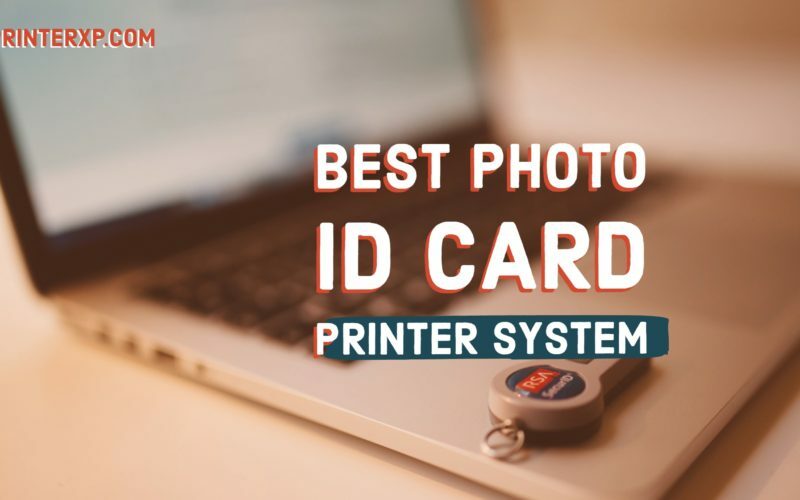 These are the essential points that will help in figuring out the best photo ID card printer for your organization. Now that we have some basic understanding of Photo ID printers let’s go ahead and list out our recommended list. Here we go! Badgy 200 is the most affordable plastic Photo ID card printer. It is a single-sided printer, means you can print only one side of the card. It works Direct to Card printing method and uses a thermal print head and YMCK ribbon to create an image. The head and ribbon are slightly larger than the actual card. Thus you get the edge to edge images. It could at a resolution of 300 dots per inch that is more thane enough to create a photo ID. Badgy 200 can print up to 100 color ID cards and 500 black and white cards of a single black ribbon. This photo ID card printer takes around 45 seconds to print a card. It could do the only single side at a time, so you have to flip over the card to print on the backside. At a price around $800, you could get a complete single-sided Photo ID card printing system with the Alpha ID card printer. It is slightly faster than the Badgy200. It could print full-color card in 35 seconds and monochrome card in 7 seconds. Plus, it has easy-to-use templates and card design wizard. Everything you need is included with this. The package includes Alpha ID card software, 100 print YMCKO ribbon, and 100 blank cards. It is perfect for small-scale ID card programs. It works on the dye sublimation printing technology. The Alpha ID card software provides the functionality to print single side and dual-sided cards. It can also encode magnetic stripes and 1D barcodes. 1-year warranty covers it by AlphaCard. 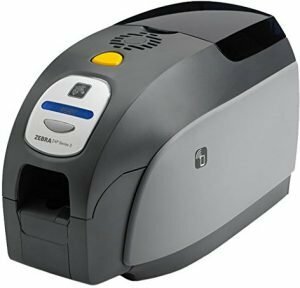 Zebra ZXP3 is a real game changer in affordable photo ID card printers. It is ideal for low to medium level printing needs. It requires minimal operators and produces excellent picture quality. 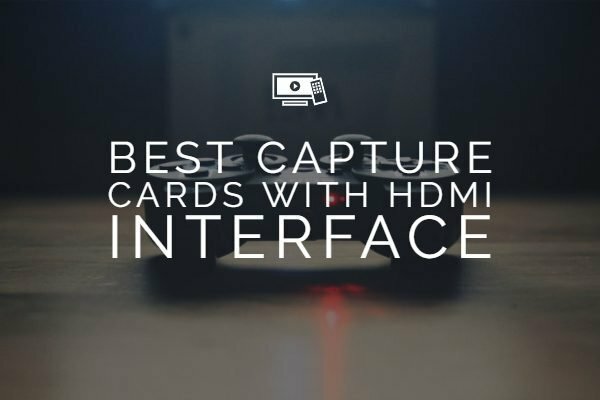 This Direct-To-Card printer provides an array of features at a meager price. The best part is that it is a dual-sided printer at such a low price. 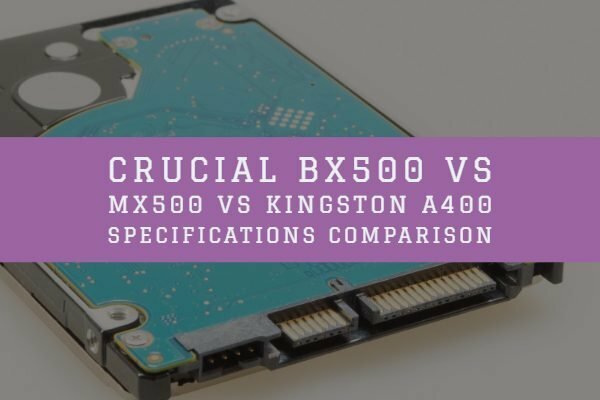 It can be connected to the PC or Mac using the USB or Ethernet. Plus, it offers various encoding options as well, such as Magnetic stripe, contact and contactless smart cards. The N-Go bright ribbons, which are now Eco-friendly using less plastic and more biodegradable material. It has a 16 character LCD operator control display. The 300 DPI printing resolution is ideal for photo ID card printers. The 100 card feeder and 45 card capacity output hopper makes it even more convenient to use. Magical Pronto is a big bang for your small office or small-environment organizations which needs to create only a few badges at a time. It is a single-sided printer; you have to flip the card to print on the rear side. It supports all standard form of encoding formats. Coming to the design, it is lightweight, robust and its small footprints make it ideal for a reception desk. The print quality is slightly better than above printers. You can also save money by rewriting the front surface up to 500 times. Holokote, a patented technology that adds visual security to ID cards and comes with four predefines watermarks that can be selected in the printer driver. That’s not it; a 2-year warranty backs pronto photo ID card printer. 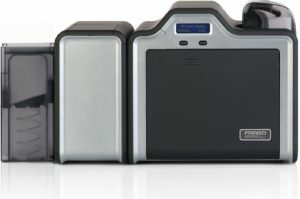 Fargo DTC1250e is the fastest photo ID card printer in its class. If you own a small business, school or local government, you can consider Fargo DTC1250e. 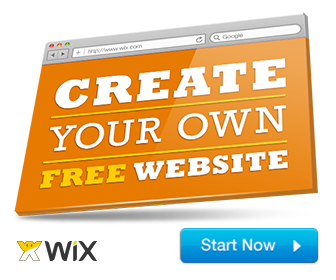 It lets you create visually-rich corporate or membership IDs quickly. It includes the Swift Id badging software that offers a lot of customization options. The security of the data is the first concern in any organization. This machine uses AES-256 encryption on the printer over a secure network. The card capacity is plenty enough for small-medium usage with 100 card input and 30 card output tray. It takes around 16 seconds per card and can print 225 cards per hour (YMCKO). The easy-to-use disposable ribbon cartridge to make your ID cards more eco-friendly. The dual-sided printing module to publish more info on both sides of the card. Backed by a three-year global warranty. Magicard Enduro 3e is an all-in-one security suite that provides your business everything that you need to print high-quality ID cards. It is a bit costlier that’s because of the whole kit that adds more value to this. It works on the same DTC method using the CMYK ribbon. Its color mapping technology stands it ahead of its competitors. It also supports dual-sided printing that saves time and money by printing on both sides of the card. It is one of the most reliable ID card printers and backed by three years warranty. The USB and Ethernet interfaces for connectivity. The Enduro 3e can be coupled with various card encoding devices to feed secure electronic data to ID cards. To protect the card security mechanism it uses the HoloKote technology. The Enduro 3E is supplied with four pre-defined watermarks that can be easily selected from the printer driver. Get superior quality, higher reliability, and durability with the Fargo HDP5000. The HDP5000 ID card printer and encoder are backed with a lifetime printhead warranty and three-years warranty on everything else. It has a versatile modular design. It has a large card handling capacity. The dual card input hopper so that you don’t have to change the cards slot frequently. Along with dual-sided printing, it can also laminate both sides of the card to prevent from fading. It prints very edge of the card without leaving any white border. Also, a smart screen LCD control panel displays the status, messages and prompts to facilitate the printing work. With the ability to print 150 cards per hour it is ideal for medium volume operations. The ‘ZXP Series 7’ printer has an innovative form factor. It automatically adapts to the thickness of the card, and ribbon loading is easy. A clear LCD panel makes it easy to operate even for the newbies. It is built to meet the needs of today’s demanding business environment. It can perform three jobs at a time (encoding, printing and laminating simultaneously). That makes it one of the fastest photo ID printer used for the business operations. It has a truckload of features like single or dual-sided printing, wasteless single- or dual-sided lamination. Fargo DTC4500e plastic card printers and encoder prints professional quality at blazing fast speeds. It is ideal for medium-to-large size organizations, government institutions, and schools. It is reliable, long-term card printer with a wide range of encoding solutions. 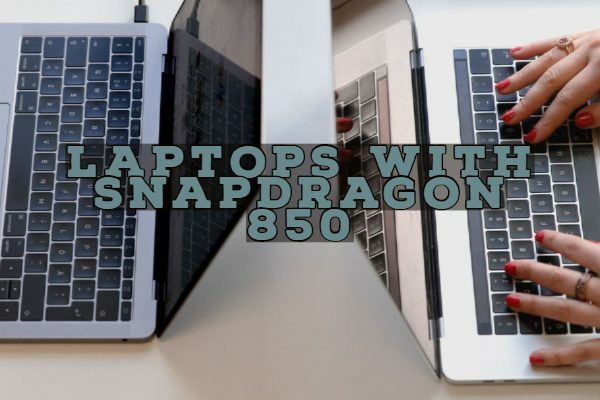 Plus, it offers additional security features like password protection, data encryption, and locking dual-card hoppers. You can get your card ready in just 16 seconds and can print up to 225 cards per/hour with a print resolution of ‘300 DPI’. Forge DTC4500e features a 200 card input with dual input hopper and 100 card output making it ideal for massive volume printing. The software is incredibly intuitive and easy to set up with plenty of features. You can add your logo or background. You can choose from over 20 different barcodes. Use photos from a file or live camera. There are 50 pre-designed templates to choose from, or you can start from scratch. As usual, this ‘Forge ID’ card printer system is also backed by the 3-year global warranty. Magicard Rio Pro delivers excellent print quality with a unique custom watermark and multiple smart card encoding options. Print ID cards at high volume with high-speed. Rio Pro can print up to 150 secure, full-color cards per hour with high capacity hoppers (200 cards). Holokote technology that frosts a secure watermark onto the card’s surface during printing. Magicard Rio Pro can be equipped with card encoding devices to add some electronic form of identification. It can even be fitter with the high-security smart card encoder to print and encode payment cards accepted at EVM machines. badgeDesigner software included in the package to create professional ID card. The software offers a lot of customization options like the signature on cards, print 1D barcodes, image editor, and card templates. Ultimate cover with industry leading three years global warranty. We hope you like our article on the best Photo ID Card Printer System currently available on the market. Feedbacks and suggestions are welcome in the comment section below.